FFA - NY Times, LA Times, NPR, other liberal media defend Innocence of Muslims video just hours after Islamists executed twelve Charlie Hebdo employees in Paris. Click here to send email if you have not already done so to urge appellate court judges to affirm the First Amendment by not censoring Google in en banc ruling. Just hours after Islamists executed twelve Charlie Hebdo employees in France because of the newspaper’s cartoon portrayal of Muhammad numerous liberal media organizations filed a joint amicus brief in the 9th US Circuit Court of Appeals defending Google’s right to post the anti-Islam video Innocence of Muslims on Youtube.com. This extraordinary event has gone unnoticed in the mainstream media based on this Google search. The injunction here, which aims to suppress a newsworthy video based on speculative fears about the hostile reaction of violent extremists to its anti-Islamic message, cannot survive such constitutional scrutiny. Allowing the Appellant to obtain a copyright injunction by asserting damages that arise from tortious conduct, such as alleged safety concerns, would provide plaintiffs with a powerful, unprecedented tool for evading traditional First Amendment protections. News organizations like Media Amici would be particularly susceptible to such claims by individuals aiming to silence critical reporting on important topics. The full amicus brief is posted here. On January 7, 2015, at about 11:30 am CET, two heavily armed Islamists forced their way into the offices of the French satirical newspaper Charlie Hebdo in Paris, France. The Islamists killed twelve people in that office because of the Sharia law command to destroy anyone who defames Muhammad. Charlie Hebdo has attracted international attention, death threats and prior assaults for its cartoon depictions of Muhammad. On January 7, 2015, at the earliest of 8:30 am PT, attorneys filed an Amicus Brief on behalf of numerous liberal news organizations with the 9th U.S. 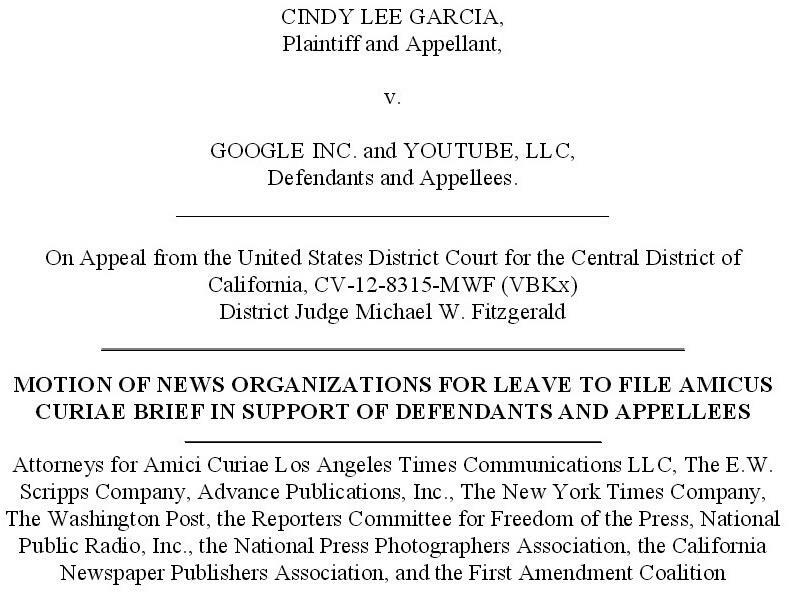 Circuit Court of Appeals that defended Google’s right to post the controversial video Innocence of Muslims at Youtube.com. The 9th U.S. 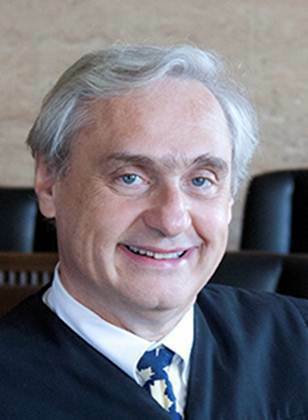 Circuit Court of Appeals opened their offices six hours AFTER the Islamist attack in Paris. Therefore, attorneys filed the amicus brief for the liberal news organizations no sooner than six hours after the Islamist massacre took place in France. The timing of the filing of this brief and the principles expressed in it could are extraordinary given parties. Florida Family Association has been closely monitoring the appeal of Garcia vs. Google to the 9th U.S. Circuit Court of Appeals and is encouraging people to send emails to urge the justices to uphold Google’s First Amendment right to post Innocence of Muslims. The full history on this issue is posted here at Floridafamily.org. 23,253 people have sent emails through Floridafamily.org to urge the justices to uphold the First Amendment and not concede to Islamist threats to censor the video. Click here if you would like to send an email urging the justices on the 9th U.S. Circuit Court of Appeals to uphold Google’s right to post Innocence of Muslims at Youtube.com. For contact information on all of the judges please click here.